Just like magic spheres full of warmth and irreplaceable energy, sunflowers unfold their splendour wherever you look. 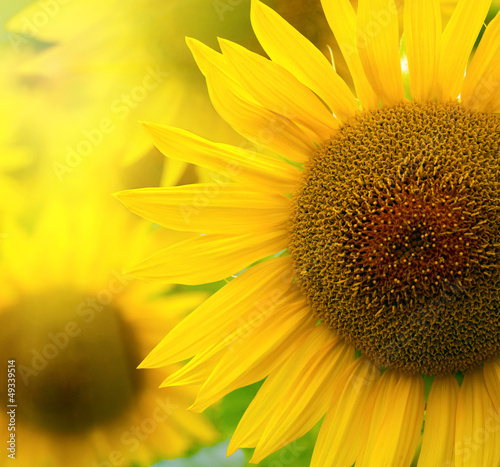 Full of yellow shine, sunflowers will brighten each interior. A photo wallpaper bursting with floristic charm will be a perfect decorative finial of a living room, kitchen or a bedroom.